Amanda Thompson Brandenburg is no stranger to the SSISD Auditorium stage, as she “grew up there” during her school years. Now Amanda’s own company, Shining Star Productions, will mount the largest production to date, Disney’s ‘Beauty and the Beast’ featuring a cast of 51. Due to overwhelming response to her audition call, Amanda decided she wanted to accommodate the overflow of talented youngsters and also form a “junior cast” which will stage one special performance on Saturday August 12 at 2pm. The regular cast, made up of adults, youth and children from the local area, will put on four public performances on these dates: Friday August 11 at 2pm and at 7pm, Saturday August 12 at 7pm and Sunday August 13 at 2pm. Tickets will be $12 at the door. $10 advance tickets are available at Sulphur Springs Public Library, Alliance Bank and The Sewing Queens. Tickets are required for ages 2 and up. The leading lady is Jaci Reed as “Belle. Jaci is a SSHS Senior and current Dairy Festival Queen. The Beast is played by Brandon Edwards, a Dallas actor and Sulphur Springs native who also grew into a stage career through the direction of Ms. Dawn Doyle Jones leadership at SSHS. Leading man Gaston is played by Josh Thompson. Sarah Harper, a Senior at SSHS, plays Mrs. Potts, Brianna Isham, also a SSHS Senior plays The Wardrobe, and Cassidy Branch is Lumiere. Cassidy is a 10th grade student at Bright Star Christian School. Director is Amanda Thompson Brandenburg who resides with her husband and twin sons in Sulphur Springs but works through Repertory Company of Dallas, frequently appearing in productions around the Metroplex. Her comedic singing role as Lina LaMont in “Singing in the Rain” completed it’s two-week run in Richardson, Texas during July 2017. 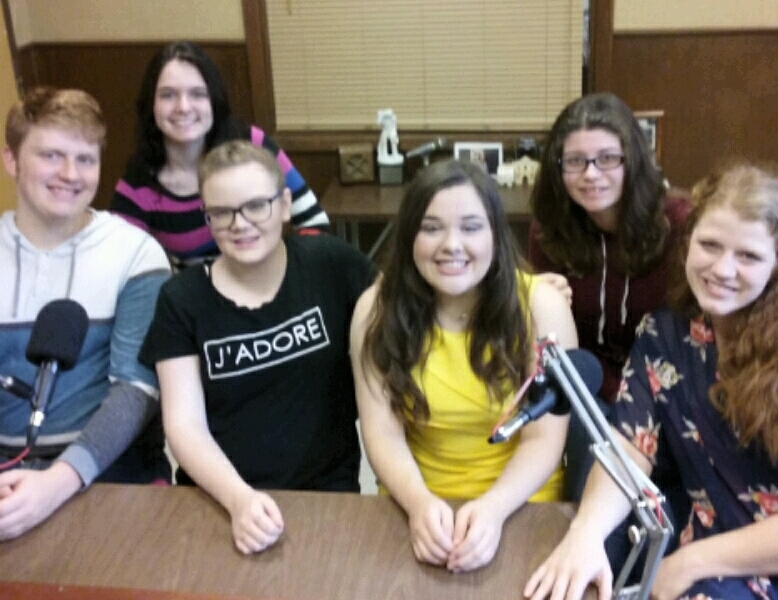 L. to R. Josh Thompson, Cassidy Branch, Sarah Harper, Jaci Reed, Brianna Isham and Amanda Thompson Brandenburg.